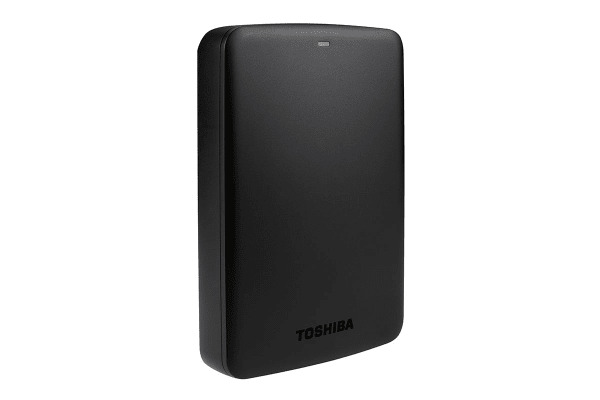 Quickly transfer files with SuperSpeed USB 3.0 and store up to 3TB of data on the Toshiba Canvio Basics A3 Portable External Hard Drive. 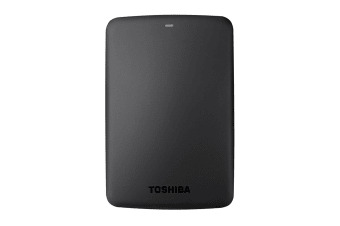 The Toshiba Canvio Basics A3 Portable External Hard Drive is perfect for storing data, music, movies and pictures. Whether at your desk or on the go, its timeless design means it will always look good. It is USB-powered and can be used with a single USB cable connected to a PC or laptop. It is ready to use with Microsoft Windows and require no software installation. 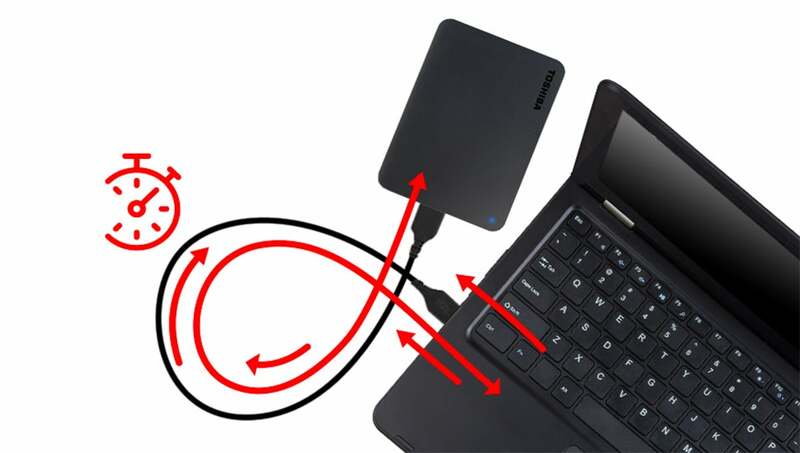 What’s more, the hard drive also allows you to connect to older hardware with USB 2.0 compatibility. The Canvio Basics focuses on profile and classic design. 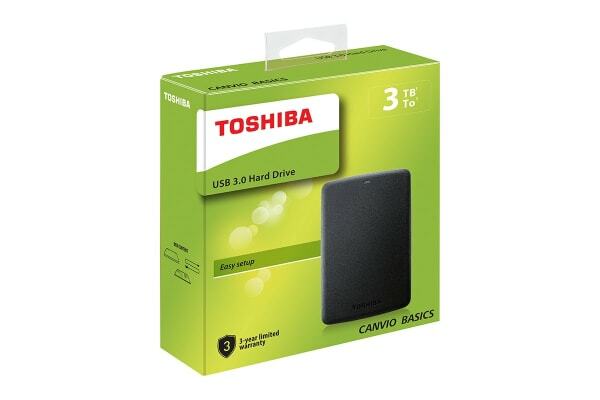 The slim, compact casing and flat top make the Canvio Basics a true portable hard drive – easy to carry and store in any pocket or bag. With over 50 years of experience in hard drive technology and unrivalled quality standards, Toshiba portable hard drives provide a reliable and secure place for your files, wherever you go.